Have you seen all the beautiful dresses at the moment in style? Well I've actually fallen in love with the dresses. The dresses are called 'Peter Pan Dress' as you probably know. Theses dresses are perfect for day wear and for a nice meal out. I've selected some of my favourite one's and the Peter Pan Collar Dresses worn by celebrities. 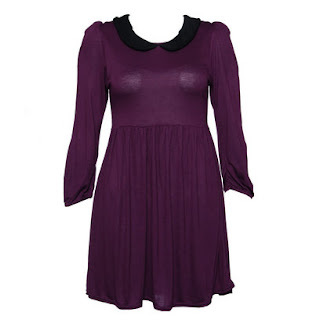 Also visit SHOPSTYLE for more Peter Pan Collar Dress. love the 2nd and last dress! yesss I'm such a fan of the peter pan collar, yet do not own one item with one! I need to get onto that! I like those dresses too. Happy new year from Norway! i don't think i could pull them off, but they are cute. like the 3rd one. Nice blog. I'll follow you and I hope you'll do the same. The last one is soooo cuteee!! Love these dresses! The collars are so cute!